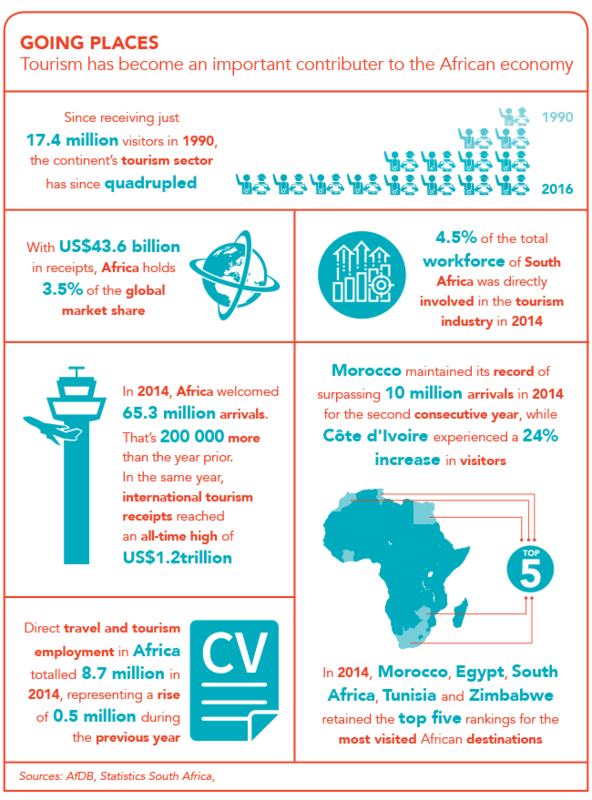 As one of the main drivers of African economies, tourism’s potential is enormous. Key to this growth is developing more small businesses in the hospitality industry. Nomsa Mazibuko has owned the Visit Vakasha guesthouse in Mpumalanga, South Africa, for the past 10 years and has watched it grow into a successful concern. Her hard work, exacting standards and dedication have not gone unnoticed. Last year, she was awarded the Tsogo Sun Entrepreneur of the Year award, which translates into support, guidance and investment from the South African hospitality group. ‘We are now a first-class facility and we can only be more than amazing from here on. The award was handed to me but this was a team effort,’ she told the Witbank News. Mazibuko’s story is a familiar one, repeated throughout South Africa and Africa as, more and more, small operators are seen as the major force behind tourism growth. Experts agree – tourism will only grow if it is inclusive and sustainable – and the potential is massive. As included in the UNWTO’s annual report, ‘an ever-increasing number of destinations worldwide have opened up to – and invested in – tourism, turning it into a key driver of socio-economic progress through the creation of jobs and enterprises, export revenues and infrastructure development… International arrivals in sub-Saharan Africa (+2%) gradually improved throughout 2015 and returned to growth in September’. After an annus horribilis in 2015, South African Minister of Tourism Derek Hanekom was bullish in his opening address at Indaba 2016, held in Durban in May this year, saying that the country is ‘experiencing spectacular growth in tourist arrivals’. Once final figures were in, it was expected that 2016 would have been a bumper year for tourism in South Africa. ‘In fact, tourism is poised for growth across Africa,’ he said, adding that ‘investment in tourism across Africa is making the industry a key economic driver as emerging economies shifted away from a reliance on commodities and towards innovation and the services sector’. Hanekom had previously lauded the sector’s potential, saying that (bar the 2015 hiccup) South Africa had performed very well in the past two decades. It was estimated that tourism supports 1.4 million direct and indirect jobs and, with its strong multiplier effect, contributes 9.5% to GDP. 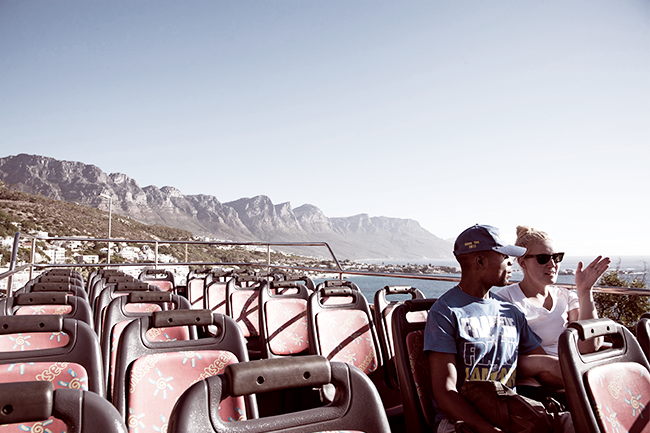 In 2011, the South African government – in the most significant move to ensure the implementation of responsible tourism – established the National Minimum Standard for Responsible Tourism via its Department of Tourism. Its aim was to establish a common understanding of responsible tourism in South Africa and provide a baseline standard for operators to aspire to. ‘Responsible tourism’ includes a focus on the inclusion of local entrepreneurs in growing the sector. Then, last year, a series of new incentives were unveiled to help tourism SMEs to grow and improve South Africa’s tourism hotspots. The recent Indaba further underscored the importance of this sector, showcasing services from 70 promising small travel businesses, in an area known as the Hidden Gems zone. It has become abundantly clear. With between 80% and 90% of all businesses in South Africa classified as SMEs (the same statistics apply in tourism), they hold immense power as far as economic contribution, employment creation and innovation are concerned. David Morobe, regional general manager of Business Partners Limited, points to the tourism industry as a prime example of how SMEs drive economic development through business creation. In an article on the company’s website, Morobe writes that ‘many towns in South Africa, that would never stand a chance of having a large hotel group setting up shop there, have been turned into tourist meccas by pioneering small bed-and-breakfast businesses, tour operators and events companies. The cascading effect is well documented – the tourists whom they attract spend money on local crafts, food and services’. According to Hannelie du Toit, manager of self-regulation of the Southern Africa Tourism Services Association (SATSA): ‘Tourist requirements are continuously changing and most second-time visitors want new and authentic experiences, which is where innovative new products developed by SMEs come into their own.’ With this in mind and in addition to the understanding that transformation initiatives must first make commercial sense, SATSA hosted the Gauteng Tourism SME Indaba earlier this year, as part of a planned greater SME market access project. According to Du Toit, previous attempts to link SMEs with the market without the support of the inbound tour operator (which acts as a product funnel, contractor and quality assurer for overseas principals) have not proven optimal. Hosted in partnership with the Gauteng Tourism Authority, Joburg Tourism, South African Tourism, Gauteng Enterprise Propeller and the province’s Department of Economic Development – the Gauteng SME Indaba was aimed at ensuring key decision-makers from leading inbounds attended the event, introducing established SATSA inbound tourism operators from across South Africa to carefully selected and prepared emerging Gauteng tourism businesses. The trade show played a large role in providing candid feedback on experiences during site visits and helpful critique directly to the SMEs to improve their individual products. This included insight into industry trends; understanding trade requirements; aligning product offerings to ensure maximum use for trade; and defining unique selling propositions. The indaba is just one of many initiatives and programmes created to drive the growth of the ‘small guy’ in tourism. Many of the large-scale hospitality groups are also showing enormous innovation and creativity in their own efforts. Du Toit points to programmes such as the Rennies Red Stamp, Tsogo Sun’s Book a Guesthouse and the Tourism Enterprise Partnership’s (TEP) enterprise and supplier development model as great examples of groups and corporates developing SMEs, and including them in active supply chains to ensure the all-important aspect of real business being generated. ‘The key differentiator of a good programme is that it focuses on sustainable development where SMEs are assisted to access and service new markets,’ says Du Toit. Launched in 2013, the Rennies Red Stamp programme is a partnership between the TEP and HRG Rennies Travel, and aimed at increasing the number of SMME accommodation establishments with access to business and leisure tourism markets. The programme was a response to the market shift from using traditional hotels to B&B and guesthouse establishments, and is underpinned by the company’s commitment to making a positive social and economic contribution to South Africa. There are reportedly more than 700 accommodation establishments that are members of the programme, which is open to guesthouses and B&Bs throughout South Africa. Tsogo Sun, meanwhile, runs the Book a Guesthouse initiative – a skills-based entrepreneurial development programme for the tourism sector that provides assistance to developing guesthouses and B&Bs through skills transfer, mentorship and operational and marketing support. Tsogo Sun also set up the Entrepreneur Development Programme – adapted for different business types, it provides an overarching and practical range of offerings that contribute to growth within emerging businesses. The programme has been in existence for more than a decade and comprehensively supports emerging businesses in all industries through coaching, mentorship and the provision of various benefits required to build sustainable enterprises. ‘The success stories of nearly 200 small businesses who are supported by the Tsogo Sun Entrepreneurs programme are evidence of the impact achieved by Tsogo Sun in our quest to facilitate legitimate interventions that contribute towards creating a lasting and positive change for a better world,’ says Candy Tothill, Tsogo Sun’s GM of corporate affairs. Then there is the TEP, which offers hands-on, step-by-step support, guidance and assistance to South Africa’s small and medium-sized tourism businesses. It aims to encourage and facilitate the growth of tourism facilities and offers benefits such as skills development, market access and business support. Of course, the development of the small operator is the focus not only in SA but the rest of the continent too. In terms of supply chain in the hospitality sector, COMESA, for example, recently unveiled a new project that aims to link local producers with buyers across the country and the region. According to Tralac – a capacity-building organisation developing trade-related capacity in East and Southern Africa, the COMESA Business Council reportedly entered into partnerships with a number of key buyers within the region, ’including the Taj Pamodzi Hotel and Protea Hotel in Zambia; Kigali Serena Hotel, Inyange Industries and Bralirwa in Rwanda; Protea Hotel and Speke Group in Uganda. Others are Sarova Group of Hotels in Kenya; and Protea Royals Hotel in Malawi’. Tralac states that the aim is to ‘facilitate market linkages between local small enterprises and multinational companies. These market linkages and partnerships are essential to promote intra-regional trade and open new markets for stakeholders in the food and beverages, hospitality and tourism sectors, to create jobs and spur development in the bloc’. If tourism is to truly meet its phenomenal potential, SMEs must continue to receive the attention they are receiving – and more. However, it’s not all plain sailing. Obstacles include red tape, funding challenges and regulatory compliance, access to markets, finance and information. ‘If [entrepreneurs] are assisted to overcome these challenges, they will contribute greatly to economic and employment growth,’ says Du Toit. It seems the time of the small tourism entrepreneur has arrived.